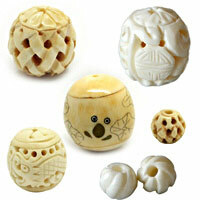 Ceramic / Porcelain Beads--Our ceramic beads and porcelain beads are handmade and hand painted. They are very important and nice components for designing & making fashion custom jewelries such as necklaces, earrings, bracelets, shoes parts and other decorations. 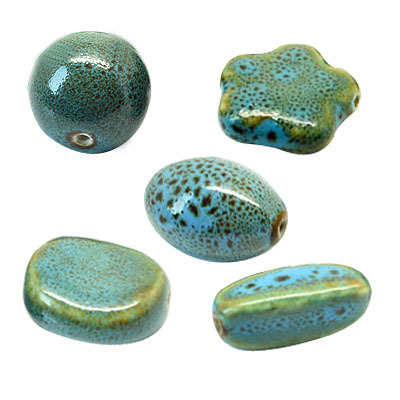 Our ceramic beads / porcelain beads have been created by artists who use their artistic talents to hand-paint the beautiful designs on the beads. 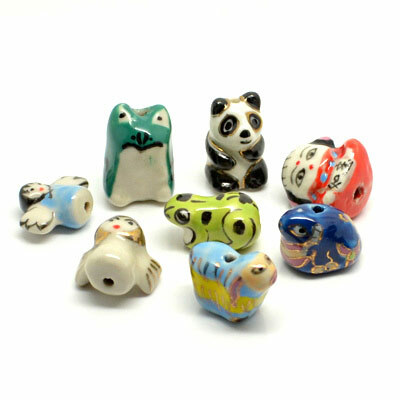 Each bead has been individually painted with Chinese symbols, scenes of nature, mythical creatures, or images of animals. 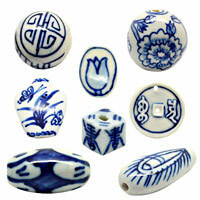 There are many shapes for our ceramic beads. 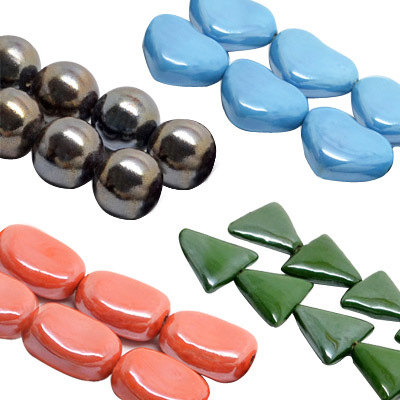 Our ceramic beads are one of top sellers. NOTE: Our Min. order is for each color each size. We accept OEM/special orders. Contact us now!